Acadia, the New Orleans bistro on NE Fremont Street clarifies tomato juice by repeatedly pressing it through a sieve for the Portland Caprese. All of the hard work pays off though — the base for this drink is light, refreshing and sure to be replicated by other bars around town. 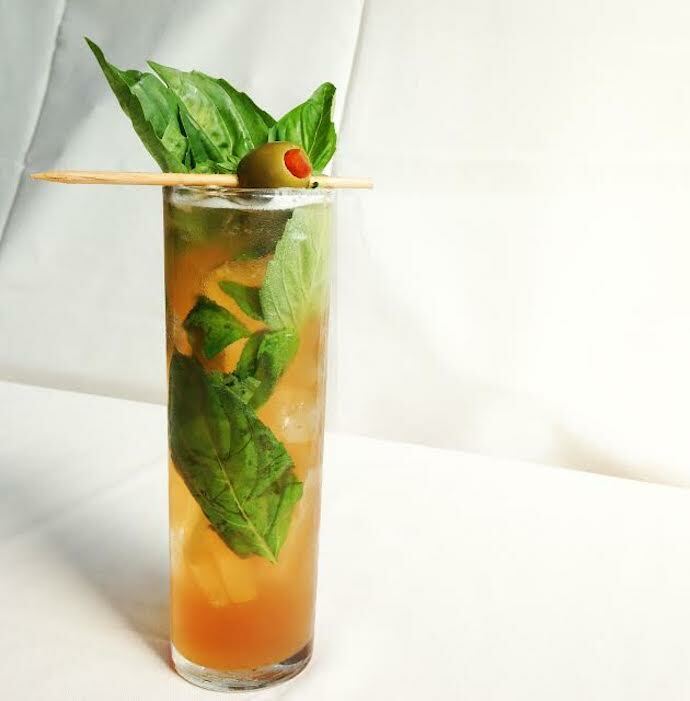 The Caprese is made from Glaser white rum, clarified tomato juice, fresh basil, cane vinegar, honey, lemon, salt with a fresh mozzarella ball garnish. Drinking the Portland Caprese triggers more senses than most cocktails; taste, vision and smell. The liquid-form Caprese is beautifully arranged so as you sip, you take in the aroma from the basil as the clarified tomato juice hits your tongue.